It is only to the wise people that suggestions need be made, for when moonlight falls on a polished stone, it glows. Let us begin with a short snippet from history. As the English author, Rafael Sabatini tells us in his Scaramouche, `The future is to be read with certainty only in the past’. This particular episode concerns a portion of history that the organisation to which the Honourable Prime Minister belongs venerates greatly. 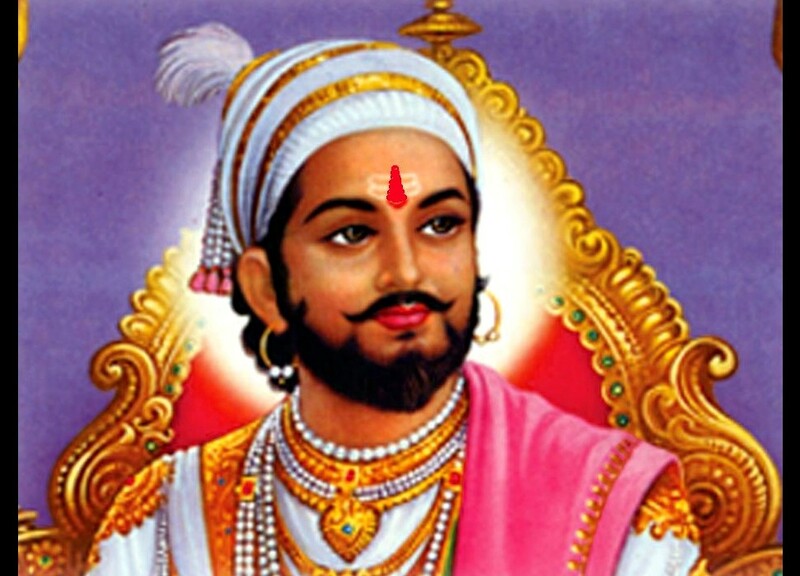 By the year 1740, the Marathas had become the predominant power in India. They had wrested the western heartlands of India from the Mughals in a protracted war that lasted nearly ninety years. They controlled roughly the territories of today’s Maharashtra, Karnataka (north of the Tungabhadra), Madhya Pradesh, and Gujarat. They even had a few fortresses in the Carnatic. The Nizam had been humbled in the battle of Palkhed a decade earlier and the invasion of Nadir Shah had weakened the Mughals of Delhi to weakest point yet. The British and the French were still small time powers with no more than a few forts on the coasts, the Portuguese had been forced back into Goa, having lost most of their other fortresses. There were a few straggling Mughal governors and their auxilliaries in the Indo-Gangetic plain, a weakened Nizam in Hyderabad, a few aspiring powers like the Jats and the Sikhs, and finally, there were a handful of Rajputs of uncertain loyalties. Now, as the predominant power of India with a clear idea of establishing a Hindavi Swaraj from Kashmir to Kanyakumari, from Attock to Cuttack, a strong and capable army, and a solid ruler in the person of Peshwa Baji Rao I, the Maratha star was waxing. Their future seemed assured and bright and it seemed only a matter of time before they managed to subdue the entire subcontinent and give it a stable and prosperous rule. The Marathas had achieved what few had dared dream about. Their victories were phenomenal, surreal, and fantastic – both friend and foe had been surprised by their ability. Yet, within thirty years, they had squandered away their advantages, had failed signally at diplomacy and consolidating the various Dharmic factions in the country, had allowed the British to grow and carve out their own kingdom, lost their best troops at Panipat to Ahmed Shah Abdali, had become so hated in Bengal that the hapless peasants favoured a less hateful Aliwardy Khan or the British to Bhaskar Pandit, had lost Carnatic and Northern Circars to the British, allowed the rise of an usurper like Haidar Ali in Mysore, alienated the Rajputs, the Sikhs and the Jats, and eventually turned into a pale shadow of their former self. Another four decades later, the Marathas would completely disappear from the map of India, for all practical purposes, with a few chieftains living out their lives as vassals of the British. Therein lies a sordid tale. The Marathas had inherited a land ravaged terribly by war, disease and famine. The price that their freedom had extracted was utterly fearful. Even if nominally, the Marathas controlled a vast land that stretched from the Yamuna to the Kaveri, their potential had been exhausted. A period of rest and recovery was required before peace and stability could be restored. However, the world was not going to wait for them to rest. Enemies everywhere were stirring. Mughal remnants were becoming assertive, the British were growing in areas where Indian control had failed and so forth. So, the Marathas decided to take the resources they needed for their coming wars from the lands not under their control. They looted their neighbours, struck up oppressive bargains with them demanding exorbitant chauth and sardesmukhi taxes from the rulers of these lands. These demands were sometimes so oppressive that the hapless rulers like Ishwari Singh, Raja of Jaipur committed suicide because he was unable to pay, They let loose Pindaris and Bargis on their neighbours, both allies and enemies alike, to loot the lands for the resources they needed. Bengalis here will recollect the song, `Chele ghumalo, pada judalo, bargi elo deshe’.. They even alienated potential allies like Raja Suraj Mal and Chitrasen of Bardhaman – alliances which could have turned the tide of history in favour of the Marathas. They failed to consolidate Indic nationalism in the lands where fighting was being done by other groups and treated everyone outside their lands as expendable. So the Hindavi Swaraj lost meaning to the people as they saw the Marathas as a greater evil. The slogan which had once animated the inhabitants of their core lands to the extent that they would endure terrible famines and Mughal ravages to remain loyal to the Marathas, now sounded hollow. And so from being the liberators from Islamic tyranny, the Marathas had become looters and thieves. If Hindavi Swaraj meant being left to the tender mercies of the Pindaris or the Bargis or being handed back to the Najib Khans, Haidar Alis or the Shujauddaulahs after the war, there was no reason for the inhabitants of these lands to be enthusiastic about the prospect of Hindavi Swaraj and endure calamities patiently for it. Indic nationalism collapsed under this greed and both the Marathas and those they could not liberate paid a terrible price for the short sighted policies of the Marathas. Fast Forward two centuries. By the 1970s, neo-Mughals were the biggest political party in India, but their total dominance over the entire country was gone. These neo-Mughals established a system like the original Mughals–a main kingdom with the principal lands (the Hindi heartland, Maharashtra, Gujarat, Karnataka, Andhra Pradesh and Odisha principally) under neo-Mughal control, but a few small kingdoms (Tamil Nadu, West Bengal, etc) permitted to exist as long as they did not upset the established order, followed the rules and did not antagonise the Delhi neo-Mughals. This system permitted the smaller rulers to loot their lands, just as the neo-Mughal empire did in its time. It was an extortionate, colonial system that worked very well for the elites to keep the conquered Indians down, meek and impotent. The system was expanded to other states as the neo-Mughals further weakened in the 1980s (Assam) and 90s (Uttar Pradesh and Bihar), but the system, as long as the neo-Mughal emperor was the alpha dog, worked to an extent and supplied the elite a means to loot the country, while keeping any rebellion down. This extortionate system is cynically referred to, by some of my friends on Bharat Rakshak Forums, as the C-System. The one overriding fear of the C-System was the rise of Indic nationalism. They correctly sensed that any rebellion under the banner of Indic nationalism would sound the death knell for their system. Other rebellions such as ethnic nationalism, or grievance-based agitations could be handled within the system since it would be inevitably localised and the dissident groups would have trouble coordinating. But the proud civilisational state that had risen in revolt and had buried the previous version of the Mughals was still alive underneath the mountains of insult, derision, and contempt that had been heaped on it by the C-System and its lackeys. Despite desperate attempts of the neo-Mughals to quench these flames and to teach the Indics to be ashamed of their heritage, they remained stubbornly defiant, looking to the day when they could reclaim their place in the sun. Underneath, the agents of the Indic civilisational rebellion were working quietly, consolidating their position, waiting patiently for the day when they could revolt against the C-System and deliver a death blow to it. By the end of the first decade of the 21st century, the end of the neo-Mughal dynasty was in sight. Hopelessly corrupt and inefficient, the neo-Mughals had lost all control of the country and even the C-system itself. And the Indics, with the rapine, outrage and loot going beyond even the placid tolerance of the long-suffering populace, had grown desperate and regrouped under a charismatic leader. With their strength in the old Maratha heartlands and success in the Hindi belt and even a few new areas, the neo-Marathas completely overthrew the neo-Mughals and did what their previous edition had not been able to do – they dethroned the Mughal emperor and claimed the throne of Delhi. However, the neo-Marathas face precisely the same problem as their predecessors: how to deal with the old Mughal fragments that are still extant in various parts of the country? These fragments are both political and ideological. Political in the sense of the old vassals and subedars that have essentially declared their independence from the neo-Mughals. Ideological in the sense of the neo-Shah Waliullahs who are inviting the Western neo-Abdalis to invade India and restore the neo-Mughal power. The neo-Marathas also face the same problem as their ideological predecessors – they have inherited a country that has been looted and gutted by the neo-Mughals in their long retreat. It is the burnt husk of a land they have inherited. There are two ways forward: the gradualist method and the uncompromising method. The gradualist procedure is to make peace with the C-system, confirming the elites in their privileges. This means making peace with the now independent neo-Mughal subedars, courting their support, and perpetuating the C-system by allowing the neo-Mughal subedars to loot while trying to reform the C-system from within. In a very optimistic scenario, this would involve reforming and removing the most oppressive parts of the system, cleansing it, and excising the foreign agents, expelling the neo-Shah Waliullahs from their ivory tower establishments. This would also involve temporarily buying peace from the neo-Abdalis by bowing to their demands to some extent, while building up the land, giving it a chance of peace. With the economic potential of the land enhanced, proponents of this procedure hope that the country will be in a better position to take on its enemies outside and consolidate its strengths within. The second method is to refuse any compromises with the C-system. This would involve taking on the C-system components wherever they may exist and trying to uproot them by every means. This technique is perilous and may well result in a civil war and a bloodbath. The C-system has become too deeply entrenched to be uprooted so easily, in one go. Even horrifyingly bloody revolutions like the French and the Russian revolutions have failed to remove the previous elite fully and always involved compromise with the least toxic elements of the previous elite. Now, since the second method has been rejected by the neo-Marathas (and indeed, it is doubtful they could do it even if they wanted to), I shall not analyse it any further. I shall analyse only the first. There are two risks in this course; the first risk is moral, the second is political. The C-System is deeply corruptive. This is clear from the extent to which the entire establishment has been corrupted. From pure traitors like some of the Candlelight crowd and the neo-Pindaris, to the lowly peon who sells Finance Ministry documents to `journalists’, the entire system has been totally compromised. This is neither accidental nor incidental. It is a direct, natural consequence of the C-System itself. Consequently, anyone who gets into the system to control it is also going to get sullied by the same system. It is impossible to get into the gutter to direct the flow of sewage without getting drenched in the same. While this doesn’t matter for the neo-Mughals who have never had any claim to any morality, it matters a lot for the neo-Marathas, whose voter base is the educated class, which sets a fairly high standard on the performance and behaviour of its members. If the head of the neo-Marathas decides to play by the C-System rules, he will inevitably get sucked into it himself. This is not a reflection on the leader, no matter how wise and good he may be. It comes simply from the very nature of the control he has to exercise on the Mughal wazirs and subedars, who will not give up their old ways. As Talleyrand is supposed to have said of the restored Bourbons, `Ils n’ont rien appris, ni rien oubile’ (They had learnt nothing and forgotten nothing). He that stares deeply into the Abyss will find the Abyss staring back at him. By 2019, I will be surprised if it has not consumed the leader himself. The C-system remains, no matter what. And the longer neo-Marathas play this game, the more entrenched the system becomes, since they themselves are now invested in the same system. Thus, ripping out the entire system becomes well-nigh impossible. This is the moral, the procedural problem. Now on to the political risk. The entire system is the C-System. The C-System may bow to the neo-Maratha leader when he is strong enough, but the natural inclination of the C-System is to align with its natural master, the Mughals and the colonial extractors. It is a painful concession for the C-System to acquiesce to the neo-Maratha chiefs, precisely because they are antithetical to the C-System. Given half a chance, the C-System will regroup and fight the neo-Marathas with its full strength (as we notice, it is already doing this in places where the C-System components have little to lose). This is already happening in Bihar (multiple C-system components are coming together to beat the neo-Marathas in the coming polls in November, and may well win then). The same may very well happen in UP, in Haryana, Maharashtra and other places where such C-system fragments can combine. We saw how the C-System even turned on the predecessor of the present neo-Maratha leader a decade ago, even though he was less antithetical than the current leader. By 2019, I will be surprised if the C-System has not regrouped under one banner against neo-Marathas. And a neo-Maratha leader, by playing the C-System game, is not in a position to fight this battle from a vantage position precisely because he will have become sullied by the C-System and his tag as an opponent of the C-System will be gone. He will have himself become the C-System and will have to play by the C-system rules (caste, religion, appeasement, bribing voters, freebies, lack of rule of law, what have you). Consequently, in trying to control the C-System, the neo-Marathas may well get consumed in attempting it. The additional political risk comes from the nature of the neo-Maratha victory. The neo-Marathas do not command anything more than what their previous version did. They have prospects in a few other regions, but essentially, the neo-Maratha strength is limited to old Maratha heartlands. How should the neo-Maratha empire proceed? Analysing the previous electoral battle, out of the 282 seats won, it won only 7 of the 165 seats in Kerala, West Bengal, Odisha, Andhra, Telangana and Tamil Nadu. The neo-Marathas won basically by maxing out in the north and west (244 out of 343 seats). Thus, its growth potential in these regions is extremely limited. Precisely because the neo-Marathas are so dominant in the north and the west, it is going to be neo-Marathas vs everyone else (C-System) in these regions. The neo-Marathas will be doubly damned in such a case. Not only is it going to be neo-Marathas vs the entire C-System in these regions, but it will be neo-Marathas vs the C-System, played according to the C-System rules. The neo-Marathas must consequently expect significant losses. Minimising the losses (in terms of numbers of seats) to 20 per cent in these regions will be a magnificent achievement for the neo-Marathas in 2019. Expansion of its geographical footprint is vital if it is to stand a chance of returning to power in 2019. If we assume that the neo-Marathas will take a loss of ~50 seats in these regions, they need to make up those losses in some other regions. The main growth regions as of today are Odisha and West Bengal. The neo-Marathas are stuck in a problematic alliance in Andhra and Telangana with Nayakas of the region, and with little growth potential. Tamil Nadu is still indulging its Dravidian politics palate and Kerala with ~50% minorities is a very hard nut for the neo-Marathas to crack. However, by striking a deal with leaders like the neo-Aliwardy Khans, the neo-Marathas are shooting themselves in the foot, since they can’t expand at the expense of those it is making deals with–that is a concession no pack animal will allow, even for the alpha dog. My reading of the situation is that if the neo-Maratha empire doesn’t ostracise and destroy at least some animals in the C-system by 2019, it will not be in a position to return to power in 2019 at all. And the only way to destroy some of the components of the C-System is to remain outside the C-System game (it is impossible to destroy the very system you are a part of) in at least their growth regions. Consequently, compromises in growth regions should be rejected. The second humble submission I would make is that the neo-Marathas court the Indic nationalists in the regions outside their core regions. The brand of Indic nationalism that pervades Odisha, Tamil Nadu, Kerala, Bengal and the north East is very different from the conservative, mercantile-network driven nationalism of the west and the north. Coming to terms with this nationalism is not easy. It will require earnest dialogue, compromises from both sides, and an understanding of the brand of nationalism in these regions. 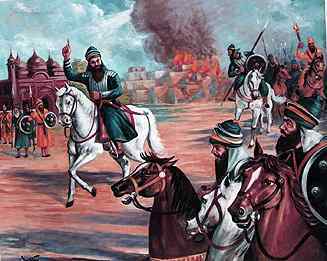 The Marathas, in the run up to Third battle of Panipat erred in misunderstanding the nature of the nationalism that fired the Jats, the Sikhs and the Rajputs, and paid the price against Abdali at Panipat, where they were left alone and friendless. Even today, only too often, there is a willingness to consider the nationalists of non-Maratha regions as shock troops, to be used and discarded by the neo-Maratha supremacists. Such a reading would be fatal to Indic nationalism. Bhaskar Pandit’s fate should remain a stark reminder of what happened to Marathas when they chose to alienate their own allies in their desire to loot. In the lands of the Vivekanandas, Aurobindo Ghoshs, Lachit Borphukans, Raja Raja Chola and countless other Indic nationalists, such arrogance will avail the neo-Marathas little and will only serve to alienate the nationalists of these regions. Proponents of “economy first” have argued that increased money will make it easier for us to advance our ideological goals. While it is true in theory that more money can bring in more capabilities, the fact is that modern economy tends to concentrate more wealth in a few hands (even if large sections of the populace also benefit from reforms) and these disproportionately powerful commercial interests have a tendency to undermine national security and compromise ideological movements for their own private benefit. From the days of Carthage through the Sramani of Sindh who prized his trade profits more than he did his country, to the zamindars who bought their security by sending their (and others’) unwanted daughters to the Mughal subedars’ nautch, their commitment to nationalism has always been tempered by their desire to advance private interests. It would be unwise to put too much faith in their goodwill. The final submission I would make is that the neo-Marathas refrain from making further ideological compromises. The neo-Marathas should reflect how far they have retreated from their positions since 1990, when the Indic nationalist movement began and bloomed in full earnest. Further compromises would hugely undermine their own credibility and render their movement ineffective, taking their credibility with it. The movement that the neo-Marathas lead is not merely a political one, it is also ideological and spiritual. And ideological movements are unlikely to be satisfied with continued ideological retreats for the sake of economic development. Wishing the leader of the neo-Marathas all the success in taming the C-system. Shanmukh is an enginnnering academic. He dabbles in modern Indian history, Sanskrit and demographics.